When a man’s body is raised high on a scaffold and burned, skin and hair and bone blacken, crumble, and become ash. The ash is lifted, carried by wind high above the earth and scattered. Ash has eyes and memory; spirit lingers in ash. When my body burned, I was freed from all physical restraint, free to fly like eagles and birds, free to mingle with earth and water, to nourish the grasses and plants, to be eaten by deer and bear and wolf. When my body burned and became ash, I was no longer tethered by human limitation but liberated, turned loose amidst the world, free to roam, to watch, to cross previously unseen boundaries between life and death, to be breathed in by Wakan Tanka, the Great Spirit. I am still here. 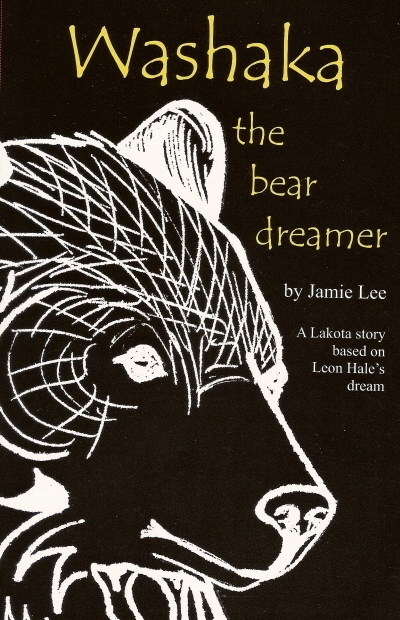 I was even free to be reborn a hundred years later into the body of a boy in Thunder Butte, to ease myself into his dreams, to have him remember my story and tell it to others. The first time I heard about the Others, the different kind of people, I was in my seventh year. It was the edge of summer. The days had been blistering hot and dry for weeks, but suddenly the season shifted toward fall and the nights grew cool, the air scented with the smell of the coming winter. Our village was camped beside a thin, clear stream on the eastern edge of He Sapa, the hills of black. We’d been here since late spring and the men were preparing to hunt the buffalo. The best part of every day was when the other boys and I gathered in Grandfather’s tipi to hear his stories. I never thought about where the girls were—I guess they were in Grandmother’s tipi. I loved Grandfather’s stories, even the ones I’d heard a hundred times before. I’d race through my evening chores and bolt to his tipi to help with his chores so we could get to the stories sooner. Sometimes he’d refuse to let me in until I went to wash in the stream—he said I smelled like a sweaty dog and he couldn’t bear the scent of me. Grandfather was like that. He never held back words, but he could say I stunk and it hit me gentle-like, not harsh or cruel. So that is how it was, the edge of summer—hot, flies buzzing, sun beating down during the day and the earth cooling and growing damp during the night. When Grandfather told the story about the Others, it was a night like this. I was already in the tipi, my body clean as a river rock, when my little cousins came in carrying small stones and other things they’d found that day. They liked bringing their finds to Grandfather—he always made up a story about each object and what it meant. He said rocks and trees and bones all had spirit, and that these spirits spoke to him. Usually the stones and sticks had something to tell us about growing stronger, not whining, helping the women more. I knew he made up the stories to teach us. Grandfather was the oldest man in our village. Nobody knew how old—not even Grandfather. He was my father’s father’s father, which actually made him my great-grandfather. During these times, all the children—including me—listened to every word. Grandfather told of how the world was formed from Inyan, his blood flowing in blue rivers to form sky and water until he himself turned to stone. He also told stories about coyote and bear and stars, and the early travels of our people. My favorite story told of our emergence from the body of Unci Maka, Grandmother Earth, after the second cleansing. The night I heard the story of the Others, there were nine of us in a circle in Grandfather’s tipi. I always sat opposite him because I liked watching his face across the small fire. The curls of smoke looked like spirit fingers touching his nose and brow, and then rising up and out of the tipi hole. Grandfather’s face was smooth and brown, as soft as finely-tanned leather. He hardly ever smiled but, when he did, his eyes crackled like lightning in a stormy sky. I was the oldest of the children in our camp and tanhansi Rabbit, my cousin, sat next to me. He and I were the same age and always together. Our fathers were brothers and we treated each other as brothers, too. That night we’d built a fire because Grandfather said his bones were stiff. The children laughed at him, saying bones are always stiff. There was a lot of laughter and joking around, but I just sat and poked at the logs with a thin, burning stick. Outside it was cold, but inside it was warm and dim as a cave. I watched the flames, watched the smoke curl up like ghostly fingers, watched Grandfather’s face. A log snapped in the crackling fire as if signaling silence and we all went quiet. He began with a prayer to Wakan Tanka to guide his words and his stories, and to make our ears work. We waited for Grandfather to finish his wacekiya, his praying, and begin the storytelling. That was the first time the shiver passed through my body. At the time I thought it was the cold night air, but it was more than that. I sat up straight, excited about having a story directed at me. I had no idea his words that night would change my life. A birthing story, I thought. We all loved hearing stories about how each of us had come into the world. I figured Grandfather was going to tell the story of my birthing day once again; how I’d had slipped into the world like a wet seed just as the sun topped the horizon, how my father had awakened the entire camp with his jubilant calls and cries, how Father carried me to Grandfather as if I were a small, slick buffalo calf. I listened. His voice was like a river song, words tumbling like water over stones. The children laughed but I shivered again, waiting to hear more. “Go on, Grandfather,” I urged him. Grandfather paused, his eyes rose and looked out the tipi hole as if sending a prayer to the heavens, and then he went on. “Your uncle saw something built from wood plank sitting in a meadow with large wheels lifting it off the ground. It was covered with cloth, like a rounded tipi, or a sweat lodge. A team of horses was hitched to this wagon and a man was leading the team. The man was different from us—pale, his face covered with hair, his eyes shaded by a hat on his head, his body covered in cloth with chunky moccasins on his feet. The younger children in the tipi were getting restless, waiting for a new story, but Grandfather was not done yet. That night I had a fever. It was as if I’d carried the fire of the story with me. The buffalo robe beneath me felt scratchy and rough. I rolled and rolled and couldn’t sleep. Mother crossed the tipi and put her cool hand on my forehead. “Shh, cinksi, my son. You will awaken your father.” She lay down beside me and her body stilled the shivering in my limbs. I soon heard the soft sound of her breathing, but still my body did not rest. It hurt to be considered still a baby. Seven was not such a young age. The next day, and for many days after, I couldn’t get the story of the different kind of people out of my thoughts. 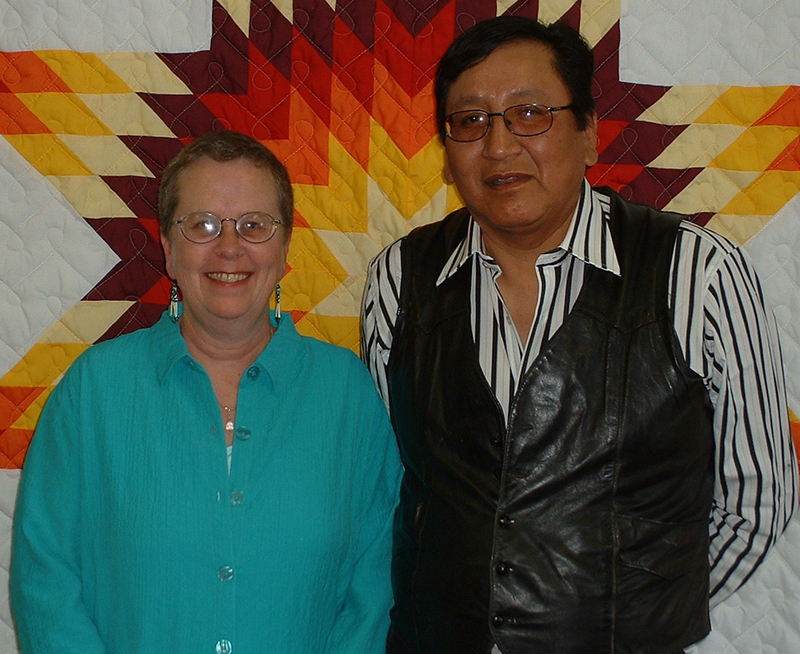 I wondered about them, where they came from, who they were, what circumstances had brought them to Lakota country. I also wondered why Grandfather had waited seven years to tell that story. Why had he told the story that night? Why then? It was like a secret he had been keeping. ​Take me back to the Many Kites Bookstore . . .